It’s a perennial property question – whether it’s better to buy an apartment or a standalone house? Conventional wisdom has been that the value of real estate is in land as opposed to bricks and mortar, but as people modify their lifestyles and as their priorities and population demographics shift, attitudes to property investment have also started to change. More and more people are choosing to live closer to CBDs, they’re simplifying their lives, living with less material possessions and making greater use of communal and shared spaces. What’s more, people are becoming more environmentally conscious and are choosing lifestyles that reflect their growing commitment to reducing their carbon footprints. Market realities also play a role and long-term financial gain should always be a key aim of any property investment decision. Location, design, ‘wow factor’, quality of build and size are all important considerations for capital appreciation for both apartments and standalone homes – and real estate agents and reputable home-builders should provide up-to-date information on the property market, the yields for a particular area and so on. To help home buyers navigate the house versus apartment dilemma, here’s a brief snapshot of some of the differences between the two and why one or the other may be more suited to a person’s particular lifestyle, financial situation and future plans. Apartments are generally more affordable than houses, but as recent figures from the Australian Bureau of Statistics reveal, they’re not always easy to sell. The ABS figures show that residential prices in Australia’s capital cities fell 0.2 per cent in the first three months of 2016, largely driven by a decline in the price of apartments. Location has always been a mainstay of property investment and buying an apartment means people can live closer to the CBD, closer to their workplaces and public transport hubs and in close proximity to entertainment, shopping, restaurant and leisure precincts. It may make greater financial sense to own an apartment in a highly desirable area close to amenities rather than a larger piece of land in an outlying area – but that decision will depend on lifestyle preferences and financial circumstances. Recent zoning changes which allow smaller block sizes, densification and multi-dwellings may also mean that investors can now buy apartments in desirable suburbs which may previously have been out of reach. Owning a piece of land has always been part of the great Australian dream, and free-standing homes have historically been considered better long-term capital appreciation prospects. However, things are changing and in some areas, apartments have outperformed houses. Size is a consideration, but people are increasingly becoming aware of how they can use their spaces more effectively rather than just having space for the sake of it. A free-standing home will generally offer larger internal and external spaces – but they also incur higher running costs such as heating, cooling, maintenance, cleaning etc. In an apartment, the owner generally takes care of the repairs and maintenance within the apartment whilst contributing towards a mutual fund for maintaining common areas and shared services. Standalone homes also offer greater privacy and flexibility. When buying an apartment, shared walls and the close proximity of neighbours may lead to noise issues – so it’s important to check on insulation and sound-proofing before buying. Stand-alone homes are also easier to renovate and customise to suit individual needs. The body corporate (also known as an owners’ corporation) of a block of apartments can have prescriptive regulations as to what they allow and don’t allow in terms of upgrades (even whether you can install new flooring, paint colours etc) so it’s important to know what your obligations and rights are before you decide to buy. Ultimately, the choice of whether to buy a house or an apartment depends on many different factors including your financial circumstances, investment goals, lifestyle, future plans, environmental concerns and so on – and there’s no right or wrong answer as to which is the better investment. A reputable home builder such as Ross North Homes will have a wealth of information about the different property types and can help investors make informed choices. In over 40 years of experience as one of the leading home builders in Perth, they’ve seen property cycles come and go – so they’re more than qualified to provide advice and guidance on any aspect of property. 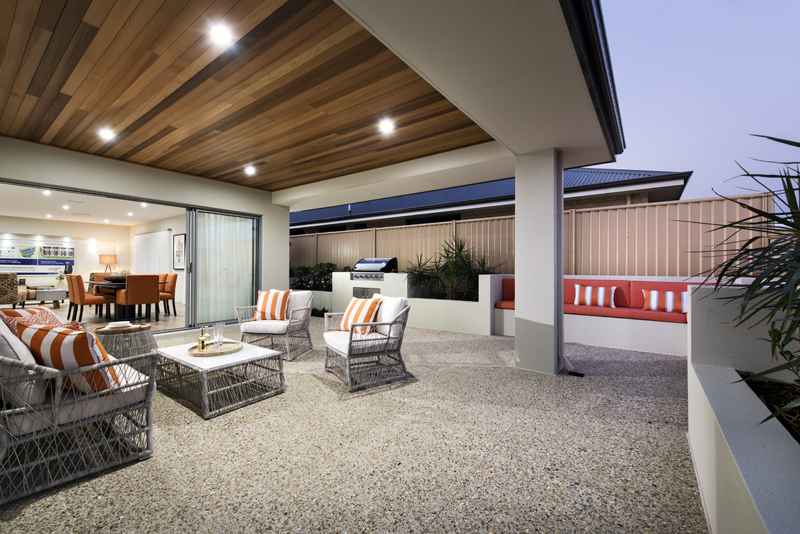 Put their experience to the test and call them on 08 9431 8150 or visit their website, www.rossnorthhomes.com.au and see why they’re one of the most awarded home builders in Perth.